I frequently come across someone posting on a firearms web forum who is having difficulty sighting in a rifle. Invariably, someone will respond with, “Get a laser bore sighting tool,” and every time I cringe. Why? Laser bore sighting tools are pretty much unnecessary a majority of the time. The fundamental aspect of bore sighting is the alignment of the firearm’s bore with the alignment of the firearm’s sighting system. In recent years, tools using lasers have been created such that a laser can be pointed out the barrel of a firearm onto a target, and the sighting system can be lined up with the laser. But this is meant as an aid, and is NOT a definitive and completed “bore sighting” of a firearm and its sighting system. You still need to fine-tune the sights with live fire. This leads to another reason why I dislike laser bore sighting tools. Many people assume that just because a gun was laser bore sighted, it’s going to be exactly sighted in. A laser bore sighting tool is only meant to get a rough estimate, just like the human eye method I described above. The operator still needs to live fire to finish the actual sight settings. The concept of a laser bore sighting tool is fine as an aid, but there is a simpler method of bore sighting which falls in line with the true nature of the term. Remove the bolt of the firearm. Set the firearm on a fixed rest (e.g. table with sandbags). Look down the bore and aim the bore at a target (e.g. target black bullseye). Adjust the sights to align on the same target. Ensure the bore and the sights are aligned on the same target simultaneously. Live fire and fine tune (adjust the sight system). This is basic bore sighting and this is accomplishing without the need of a laser tool. You can save even more time doing this procedure if you do steps 1 through 5 outlined above while at home before you head to the range. Setup a black circle at the end of the longest hallway in your home and bore sight on from the other end. Before continuing, it should be obvious the above method will not work on a select few types of firearms, such as a M14 variant, M1 Garand, Mini-14, Ruger 10/22, or any other semi-automatic rifle where the operator cannot look down the bore of rifle from the chamber/breech end. In which case, the best method is to set the sights to mechanical windage zero and test fire on an extremely close target (e.g. 15 yards) to dial it in. But one may ask, “Isn’t a laser tool going to be more accurate than by using the naked eye?” Not necessarily. Laser bore sight tools are not truly ‘precision’ tools. There are many out there, but they all have inherent inaccuracies due to variances in bores, rifling, and variances in the machining of the tool. Even if I were to concede that a laser bore sight tool is more accurate than the human eye method, it’s still not going to be dead on exact. As I mentioned before, you still need to live fire test to ensure you are on paper and to fine tune the no-wind zero and work on an elevation zero. Here’s my a recent break-in session on a new rifle where I also took the opportunity to adjust the brand new, freshly mounted Aimpoint Micro T-1 2MOA with a Larue Tactical LT660 mount. Note that I took the upper receiver off of the lower receiver, removed the bolt carrier group, and rested the upper such that I aligned the bore and Aimpoint optic with the target black of a target board I placed out 25 yards away. Due to range logistics that morning, I could only use a bay that went out to 25 yards. First, I maneuver upper on the rest (bags) so the bore aligns with the target black. Next, I adjust the Aimpoint so the dot is on the target. I then confirm that both the bore and the dot are on the target black simultaneously before reassembling the gun. After I lined up the bore and the Aimpoint, I took an initial shot, which happened to be the very first round through the gun. I then broke the rifle down for a quick bore cleaning. I then took note of the POI of the first shot which happened to hit right of center with a respectable elevation, so I dialed in several clicks left. After I finished cleaning the bore, I took the second shot. As you can see in the above photo, my ‘eyeball’ bore sighting got me on paper at 25 yards, respectably close to center, and a quick windage adjustment got me a fairly decent no-wind windage zero. After that, I shot a few more three round groups during my chronograph testing to confirm the no-wind windage zero, and adjust the elevation POI a little. I wanted a lower POI versus POA at 25 yards since it will get me closer to a 50/200 yard zero for when I get a chance to confirm the elevation zero at 200 yards. That’s pretty much it. Now I can be fairly confident that I can take this rifle to 50 yards, 100 yards, etc., my no-wind windage should be fine, and I only need to adjust my elevation as desired. In summary, I demonstrated how you can bore sight your rifle without a laser bore sighting tool, be on paper at 25 yards (and be pretty close to center). Then after that, ideally you only need one more shot to get centered up and perhaps a few more rounds to confirm. Don’t bother with laser bore sighting tools. I got a laser bore sighter and it seemed like if I sighted my laser to it at whatever site then the shot was no more accurate any closer for further. Of course I’m using my smith and wesson 9mm. I sighted the laser sight (green dot) to the front sight of the gun and aimed at the middle of a Dr Pepper bottle and hit it at the bottom. I don’t think the laser bore sighter is worth a crap. But then again, I kept listening to people who said to set my laser sight just below the bore sight to account for recoil. Any ideas to improve it where it will be more dialed in than hitting target a couple inches higher or lower than where I am with my laser sight sighted into the front side of my 9mm? I’m a bit confused by your question. From what I gather, you tried a laser bore sighter to sight in your iron sights *and* a laser sight. Is this correct? Furthermore, it sounds like you’re having issues getting the laser sight itself (not the laser bore sighter) sighted in correct? Is this correct? Oh no, I got a laser sight. And was told that I would need the laser boresight to get the laser sighted in. Using the laser boresight to sight in the laser, I would sight it at a certain distance, 25 yards I believe. Then if I aimed closer or further than thathe 25 yards the laser sight it would be off, either the laser would be too low or too high. I then took the boresight out and sighted the laser with the front iron sight of my gun. I hit my target, just a little lower than what I was aiming for it. That may have been from just sloopy handling of the gun or sloppy trigger pull when I fired. My question is, would I just be better off sighting the laser to the front iron sight of the gun and not use the boresight at all, and how would I go about getting the laser sight sighted in for a more accurate shot? My main concern is self defense. With it the way it is at the moment if I aim for the mid section, I will hit either the chest or the groin. I haven’t done any sighting of the iron sights. It seems strange. The laser bore sighter is just about dead on with the iron sight on the gun. But the laser sight, sighting into the laser bore sight seems like it’s only going to be accurate at the distance I sighted it with the bore sighter. 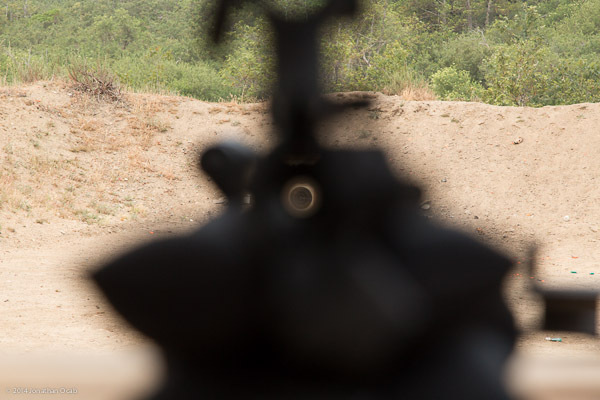 Oh, you don’t need a laser bore sight to sight in a laser sight. You’ll pretty much just cowitness your laser sight with the same Point of Aim (POA) as your irons. 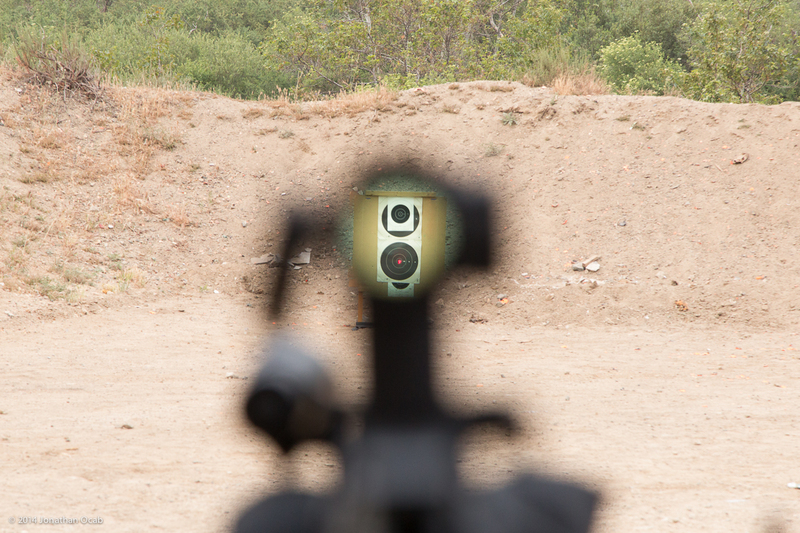 Of course, a laser sight will only be technically sighted in for a given distance (say 25 yards). I would just sight in for 25 yards. The difference between immediate close quarters and 25 yards in only a few inches of elevation at most. For instance, with a 9mm pistol, a 25 yard zero will probably have you hitting a couple inches low at immediate close range (under 5 yards) and it’ll keep arcing up to 25 yards, then start arcing down to 50 and be a few inches low at 50. Thank you sir. I kind of didn’t think I would need a bore sighter. I will keep using the iron site on the gun to get it sighted. Thank you much. CRINGE IF YOU LIKE, LASER BORE SIGHTING IS BY FAR THE FASTEST AND MOST ACCURATE WAY TO GET “ON PAPER”. IT IS ALSO VERY COST EFFECTIVE, A PRETTY GOOD FIXTURE FOR SECURING THE FIREARM FOR BORE SIGHTING IS ABOUT 130.00 TO 150.00. 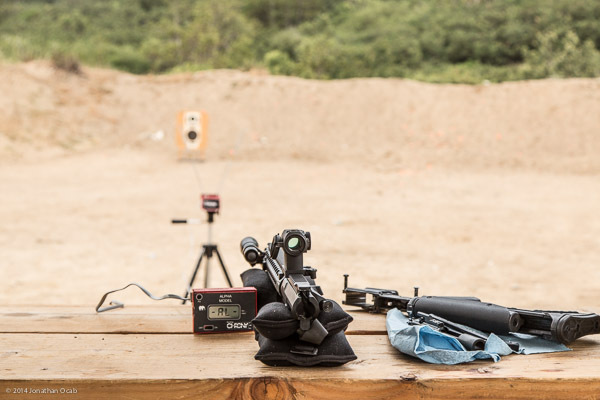 A DECENT BORE SIGHTING LASER IS ABOUT 40.00 AND DOES NOT REQUIRE A FIXTURE. WHILE YOU ARE CRINGING I WILL HAVE MY RIFLE ON PAPER. sounds like a great idea… oh wait not all my guns are bolt action. I don’t think it’s worth dissembling my semi autos to use the look thru method to sight the gun. Laser and collimator bore sighting tools all have there use. They are not intended to site in your gun, just get it on paper at 50 or 100yrds to have a point to start the process. I think you are wrong making a blanket statement that there is no use for bore sighting tools..
Mr. Taylor seems innocent of the other uses of a “a good fixture” such as a lead sled. 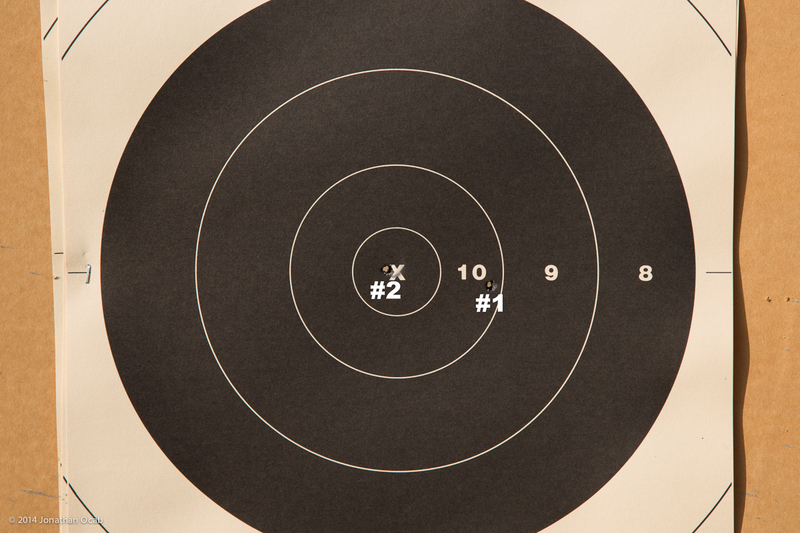 So, here they are…precision and accuracy are different and barely related concepts in rifle marksmanship. An accurate firearm is one that once sighted in at a given distance the POI and the POA coincide. A precise shooter with an accurate firearm is on that is able to group repeated shots in very close proximity to one another. Please note the emphasis of accuracy on the firearm and the emphasis of precision on the shooter. A lead sled is not merely used to reduce the felt recoil of a very high powered magnum rifle, but also, can be easily used to isolate the effect of a shooter’s poor technique on precision once a rifle has been been worked over (bedding, free float, etc.) to make it accurate. And, the differentiation between the two is how one works up a firing technique that is precise and simultaneously accurate.